Built 1895-1896 as a private comedy theatre for "Theater AG" by Ferdinand Fellner & Hermann Helmer. 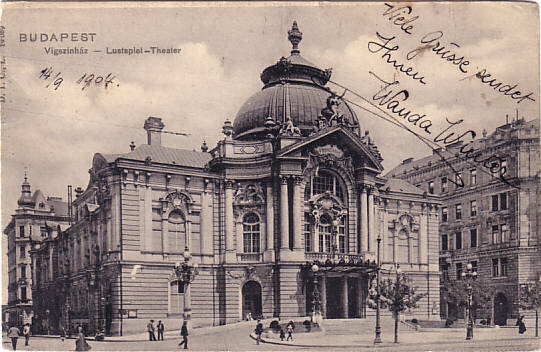 Opened 1 May 1896 with M. Jókai's comedy "A Barangók". 1945 destroyed by bombs. 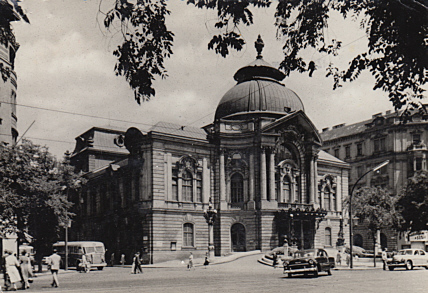 1951-1960 rebuilt by the Hungarian Army. 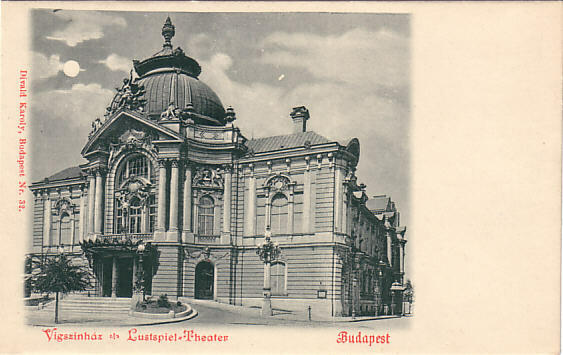 1951 renamed "Magyar Néphadsereg Színház" [Theatre of the Hungarian People's Army]. 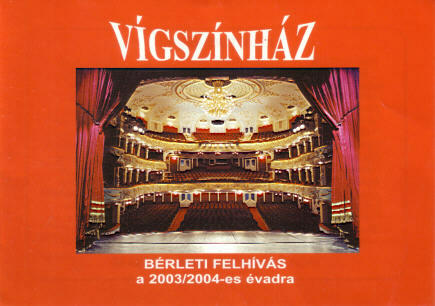 1959 renamed "Vigszínház". 1995-1996 rebuilding, with extension by one floor. 1402 seats. 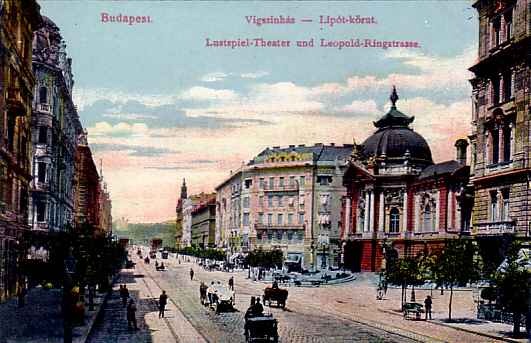 Front Text: "Vigszínház - Lustspiel-Theater - Budapest"
Front Text: "Budapest - Vigszínház - Lustspiel-Theater"
Front Text: "Budapest - Vigszínház - Lipòt-körut, Lustspiel-Theater und Leopold-Ringstrasse"
Front Text: "Budapest - Vígszínház, Lustspieltheater, Comedy-Theatre; Budapesht - Teatr komedy"
Front Text: "Vígszínház - Bérleti Felhívás a 2003/2004-es évadra"